Imagine biking down a winding mountain road, wind in your face--but not your eyes because they are protected by full coverage sports goggles. And then oh no, your bike chain breaks. And you don't know how to repair it. But wait--those goggles that were shielding your eyes from sun and wind just a second ago can also access an electronic repair guide! Smart goggles like these are not so distant in our future according to entrepreneurs at Laut Design. 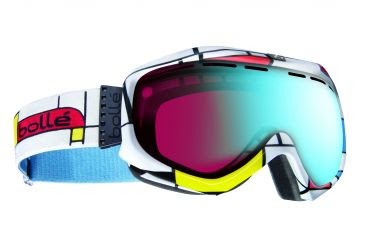 They are partnering with performance glasses enterprise Bolle to help design the next generation of sports goggles. The concept sounds similar to Google Glass with electronic projection that can be accessed to view maps, odometers, heart rate monitors, and endless possible applications. All while utilizing the highly performance based goggle design that Bolle has popularized with glare and UV protection, and specialized tints to enhance performance in a variety of light conditions. There are no projected release dates on when a smart goggle design may first hit the market, but expect the next generation of performance glasses to perform at a whole new level!